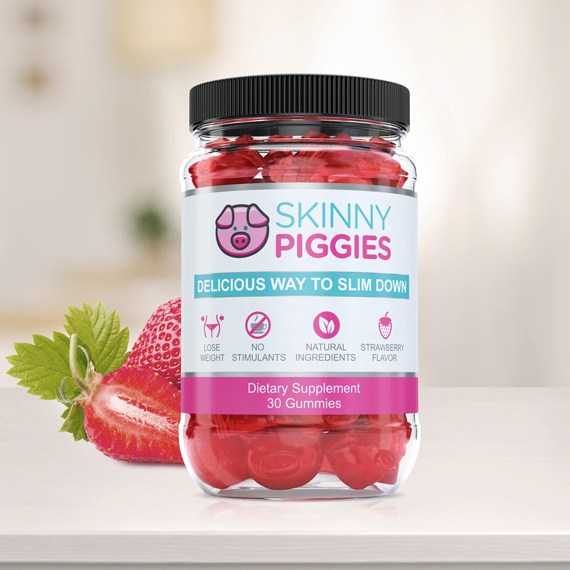 Skinny Piggies are yummy appetite suppressant gummies formulated based on the latest scientific research to help you lose weight. 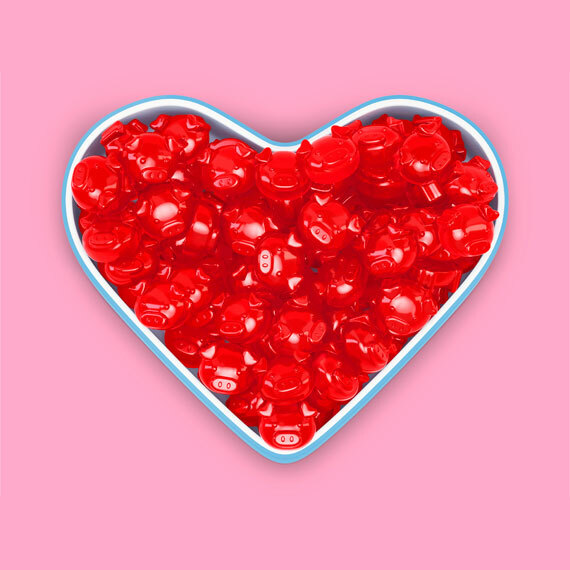 They're flavored with natural strawberries for a sweet taste you'll love! Chew one Skinny Piggy with a glass of water 30 minutes before eating a meal. You will soon notice that you're eating less, getting full quicker, and have zero sugar cravings after eating. 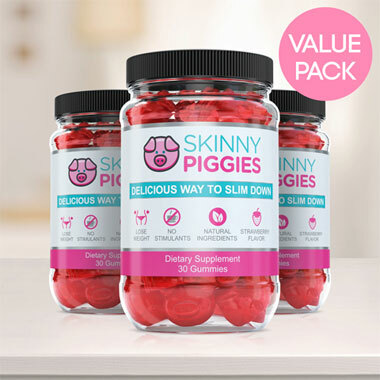 There are 30 appetite suppressant gummies per bottle and it typically lasts 10 to 30 days. 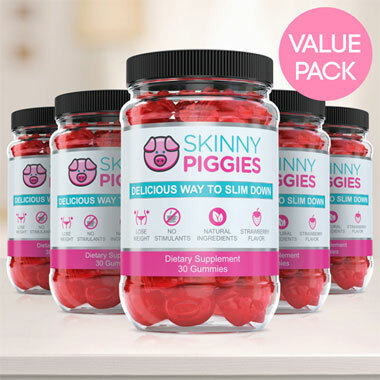 If you absolutely don't love Skinny Piggies we don't want your money! Simply send back the unopened, or opened, bottles within 60 days and we'll return ALL your money. No questions asked! We have been in business since 2006, and we're proud to say that we've provided high quality products to thousands of satisfied customers. All of our products are formulated using only the purest ingredients. We know our success depends on great customer care. Call us at (800) 000 0000 on business days from 8am to 4pm EST.